* Left to Right- Mr. Toyin Oriowo, Acting General Manager, Engineering and Maintenance, Skyway Aviation Handling Company Limited (SAHCOL);Mr. 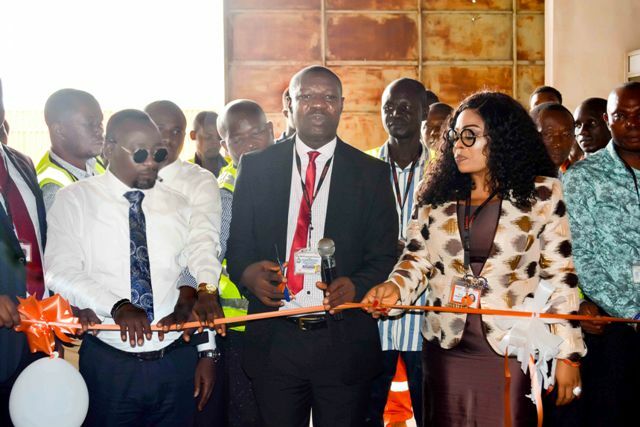 Basil Agboarumi, Managing Director/CEO, SAHCOL, Mrs. Boma Ukwunna, Executive Director, Cargo Services and Operations, SAHCOL at the commissioning of the new Ground Support Equipment. An online statement signed by the Assistant Manager, Corporate Communications, SAHCOL Vanessa Uansohia, explained that the fuel bowser is the first in the history of aviation of ground handling in Nigeria to be created from scratch from locally sourced materials. SAHCOL further explained that the idea to create the equipment was conceived by the engineering team of the ground handling company to align with the Nigerian maxim of Use Nigeria Buy Nigeria. 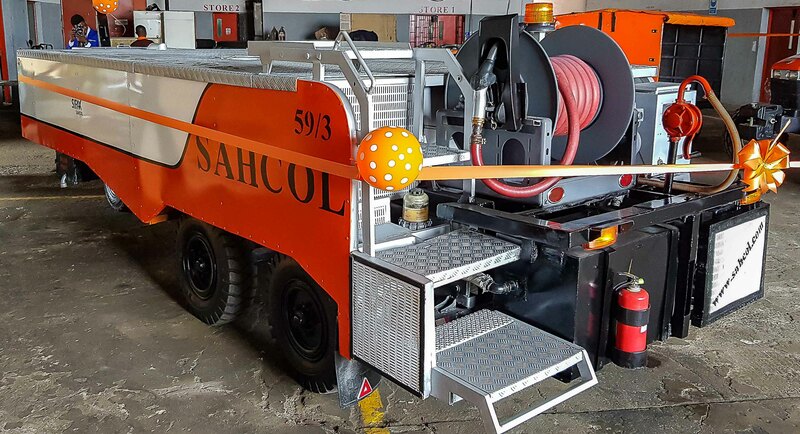 SAHCOL said that the production of the equipment is aimed at leading to higher efficiency of safe and fast service delivery which is what company stands for. The 3,000 litre capacity equipment, according the ground handlers can be operated both manually and with battery. The equipment which is towable has all the features of an imported fuel bowser with modifications to fit the Nigerian terrain. The Bowser, SAHCOL said is designed to be both rugged and comfortable for use by the handlers to dispense rapid fueling in a safe and spillage free manner. The company posited that before now the Fuel Bowser amongst other Ground Support Equipment was purchased from aviation ground handling Ground Support Equipment making companies in Europe and other western countries. 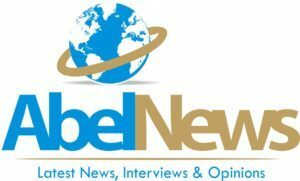 “As much as the tow fuel bowser is equipment that is overlooked as not been as important as other heavy duty ground support equipment, it is of great significance for a hitch free refueling of Ground Support Equipment on the ramp. 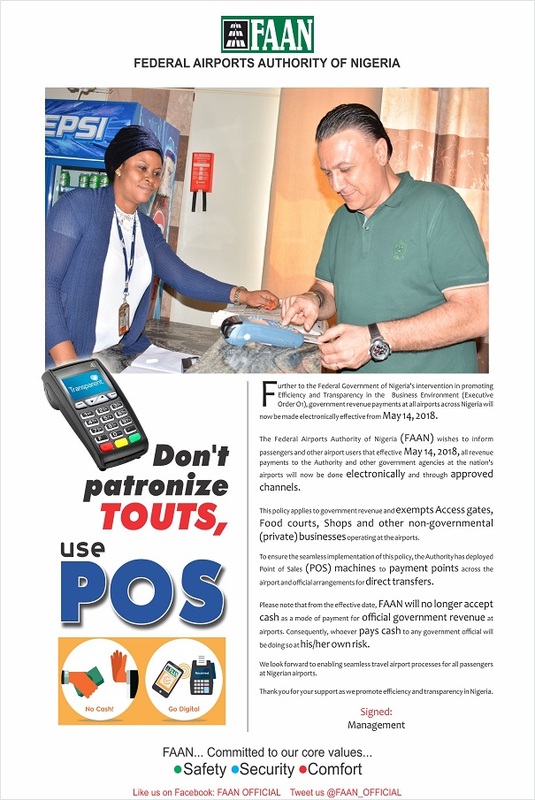 To remain profitable and true to her esteemed clients in terms of service delivery in delivering uninterrupted and punctual service and handling in all of SAHCOL’s stations nationwide, the engineering team put their intense training to use by producing the Fuel Bowser from scratch,” the ground handler said. 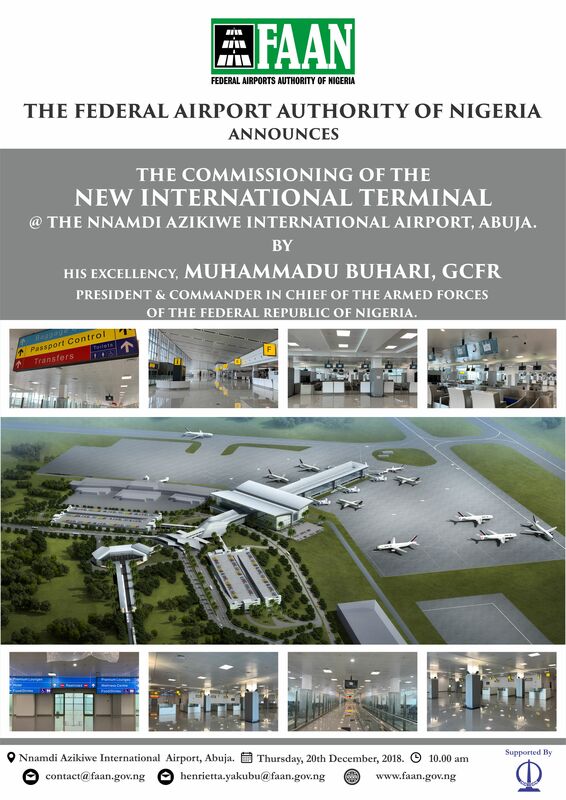 Be the first to comment on "SAHCOL Produces Ground Support Equipment To Fit Nigerian Terrain"